Make your tone the big boss on the stage. The Danelectro Billionaire C.E.O. tremolo effects pedal is large and in charge with retro, heart-throbbing swells. It sounds vintage because it is! The C.E.O. uses same tremolo circuit made famous by Danelectro amps of the 1940s and 1950s. Hard/Soft switch lets you chose staccato bursts—or smooth, creamy swells. 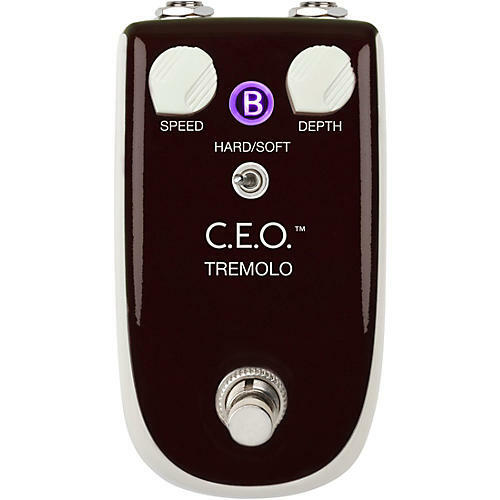 For the thickest, richest, deepest tremolo tones ever, step on the C.E.O. !